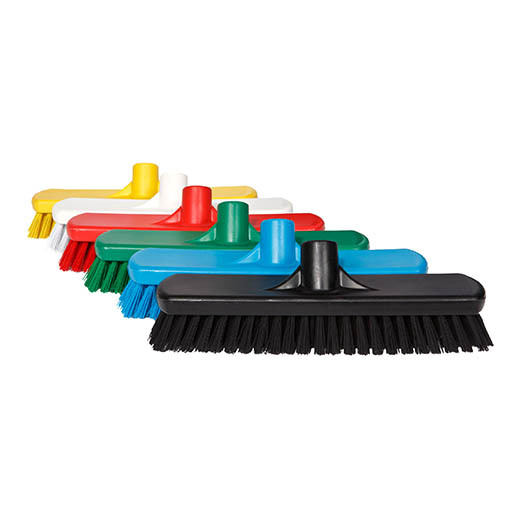 HACCP compliant hygiene deck scrub brush with soft, hard bristles. Head only. 300mm. Suitable for use in hygiene sensitive areas. Fits Tinta aluminium handle with plastic moulded top.